What are the mechanisms for the effects of long-term nicotine exposure? 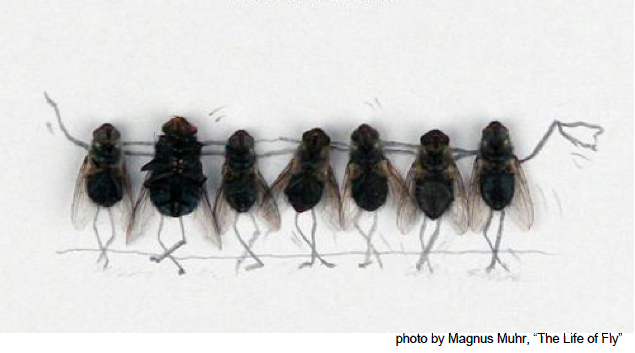 Drosophila melanogaster, the common fruit fly, is the ideal model organism to answer questions about genetics, cellular and molecular mechanisms, and how these contribute to behavior. I'm interested in the effects that drugs of abuse have on behavior, and the drug of abuse I study is nicotine, and also its interaction with alcohol. My general hypothesis is that nicotine affects the way the brain forms during development, for example changing the numbers of specific types of cells, or changing the connections between cells. Such changes could lead to changes in sensory perception, and in other circuits on the brain that control behavior. Development of the brain and how cells in the brain work depends on genetic programs, this is, genes acting in specific cells at specific times. A second hypothesis of my work is that nicotine exposure affects some genes, and this changes to genes have consequences in how cells work, and ultimately how the brain works. During summer, students in my lab worked on 3 projects: 1) experiments to determine if developmental nicotine exposure causes changes in specific cell populations in the brain; 2) experiments to determine if developmental nicotine exposure causes changes to perception of smells; and 3) experiments to identify genes that are involved in nicotine's effects. These experiments will begin to identify the mechanisms underlying the effects of long-term nicotine exposure.